This handy website will make understanding your risks and making changes easy. Start in your kitchen with your cookware and containers, then move in to your cabinets and fridge, but don’t overlook your water. In your bathroom, assess your cleaning products, personal care items, and even the shower curtain. In your daily living spaces there are more minor and major changes to consider. 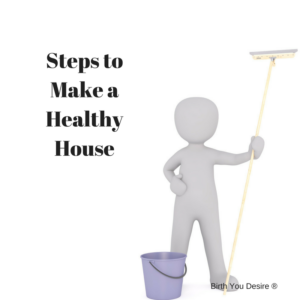 Everything from leaving your shoes at the door to minimize tracking in pesticides and herbicides form outside, to the chemical coating on your furniture. As well as hidden dangers like lead paint, VOC paints, and ventilation.